Brought to you with the support of Waves, In this 2nd video of a 4 part free mini-series, Marcus moves along from where he left off in the first video, and begins to process a piano sample using 2 plug-ins from the Waves OneKnob series, Filter, & Driver. Perhaps it was an inevitable outcome, but a poll of Studio One users asked to name if they used a control surface and if so which one, gave PreSonus control surfaces nearly 60% of the entire vote. Sonarworks, makers of speaker and headphone calibration software, has released Sonarworks Reference 4. New features include zero latency and improved measurement. In this free video tutorial in PreSonus Studio One, Marcus Huyskens demonstrates some of the key differences when using "Explode Pitches To Tracks" vs various other options such as Multi-Out, and Exporting Stems. In addition, he also offers some insight as to when to use each of these options over the other. In this free video tutorial in PreSonus Studio One - Marcus Huyskens demonstrates how to smooth out a vocal Pre-Compression by using volume envelopes to tame harsh sibilant consonants, and correct general level discrepancies in a performance. Accusonus has announced ERA-N, a simple and easy to use one-knob plug-in that is designed to offer denoising and automatic audio repair without compromising audio quality. A nice find from our sister site Pro-Tools-Expert, In this free pureMix tutorial, Ryan West shows how he uses Softube plugins for mix bus processing. In this first video of an 8 part free Mini Series, Marcus Huyskens demonstrates how to quickly craft an electric guitar tone from a direct guitar track, using Waves GTR, H-Comp, and Renaissance Reverb. In this video, Marcus Huyskens puts the new ToneCentric plug-in by Waves through its paces on a set of gritty acoustic tracks to see what it can do. PreSonus, the makers of Studio One, have announced a new digital mixer the StudioLive 32. A powerful new digital mixing console with 40 total inputs and a vast array of other features to appeal to the live market. 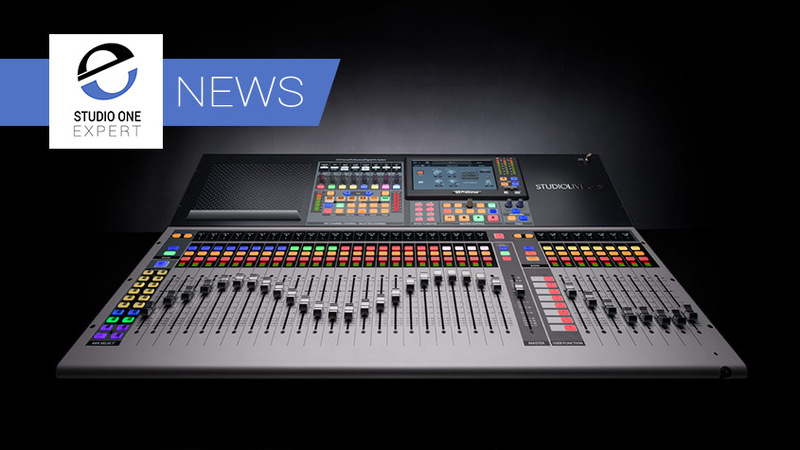 PreSonus, makers of Studio One, recently announced the new Faderport 8 control surface to a lot of excitement. FaderPort™ 8’ offers precise tactile control over mix and automation functions. Faderport 8 includes 8 touch-sensitive, motorized, 100 mm faders and 57 buttons covering 78 different functions, Quickly zoom in on audio files for editing, adjust your click-track tempo with a simple tap, modify plug-in parameters, manage aux mixes—and, of course, control track levels with the touch of a finger. We thought we'd see how popular the Faderport 8 is going to be, both for those using Studio One and for those using other DAWs. So take out poll and of course leave your comments. In this free tutorial video, Marcus Huyskens demonstrates a workflow that can be used to generate a Tempo Map from PreSonus Studio One - that can be imported when collaborating with other Studios running Pro Tools or other 3rd Party DAW's. Our friends at PreSonus, makers of Studio One, have announced Faderport 8. Russ takes a look and listen to the Manley VOXBOX and gives his impressions of it. Check out the latest Studio One series - Studio One Know-How: Compressors & Dynamics, from our good friends over at Groove3, featuring our very own Studio One Guru, Marcus Huyskens. In the second video in the series, Ilias explains his approach to mixing Rock and Metal guitars. Ilias explains his method to mixing Rock and Metal guitars. Our friends at Sonarworks are back with another brilliant guest post. This excellent article shares ideas for creating space in your mixes when using headphones. This article was written by Barry M Rivman. Barry explains the advantages of mixing on headphones and how to use them to create three-dimensional mixes using reverbs and delays. Russ responds to a question about how using 32bit floating point in Studio One can save your audio. A basic understanding of how gain staging and digital audio is essential when working with DAWs to ensure there is no digital clipping, but in the event that clipping has occurred then this can be a life saver.